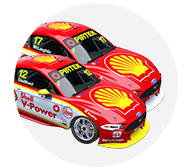 Scott McLaughlin led home Shell V-Power Racing team-mate Fabian Coulthard in the opening leg of the Tyrepower Tasmania SuperSprint. McLaughlin took the lead at the start and was not troubled from there, ultimately finishing the 50 laps at Symmons Plains 1.7637 seconds clear of Coulthard. Shane van Gisbergen denied Mark Winterbottom a maiden IRWIN Racing podium in the closing stages, but his team-mate Jamie Whincup was last after an early incident. 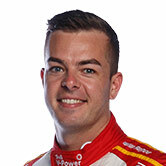 With his victory and Whincup's lowly finish, what was a 31-point championship lead for McLaughlin over Whincup is now 135 over Chaz Mostert after seven races. McLaughlin beat polesitter Winterbottom off the line and into the Turns 1 and 2 complex, then edged away to lead by a second after 10 laps. The Shell Mustang had doubled that advantage by the time pitstops started nearing the halfway mark. A reverse order of the top three, Coulthard, Winterbottom and McLaughlin pitted on consecutive laps from lap 19. When they had played out, McLaughlin was ahead of Coulthard, with Winterbottom losing a place based on a slightly slower stop. McLaughlin kept a two-second advantage, which he duly managed over his team-mate for the balance of the afternoon. 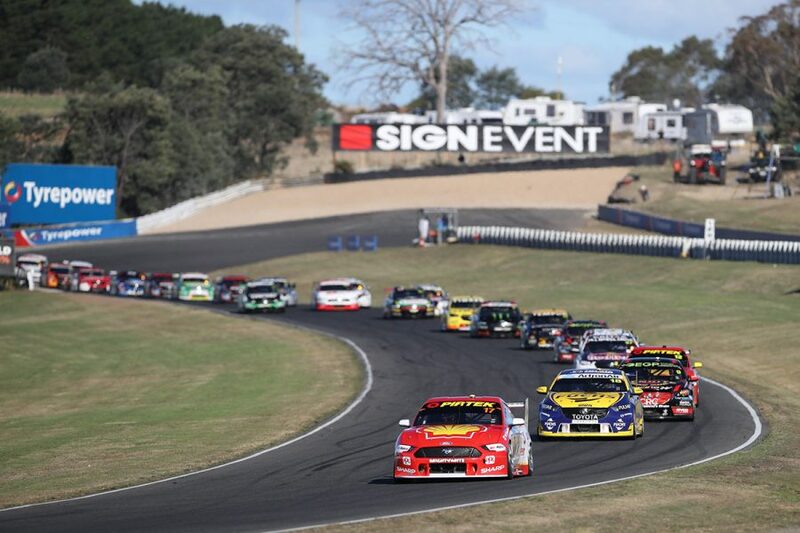 The victory is McLaughlin's first at Symmons Plains, sixth of 2019 and the 31st of his career. 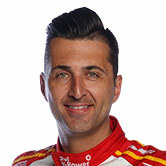 "Great job for Shell V-Power Racing to get a one-two, awesome," said McLaughlin, battling a dose of the flu. "I’ll have a good sleep tonight, watch a bit of the footy and try and come back stronger myself tomorrow. "But that one is for Ford fans and all our team. We’ve worked hard behind the scenes. There’s been a lot of stuff thrown at us, but we just fight on. We’re a strong group." Coulthard cruised away from Winterbottom during the second stint to finish second, his second podium of the campaign. 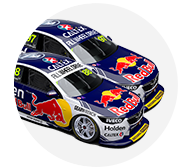 Van Gisbergen was the last driver to pit, on lap 29, which left the Red Bull Holden with a 20-lap run home on fresh rubber. Emerging in sixth, he caught and passed David Reynolds and James Courtney, then closed in on Winterbottom. There was still margin between Winterbottom and van Gisbergen, but the former lost ground lapping wildcard runner Jack Smith with three laps to go. 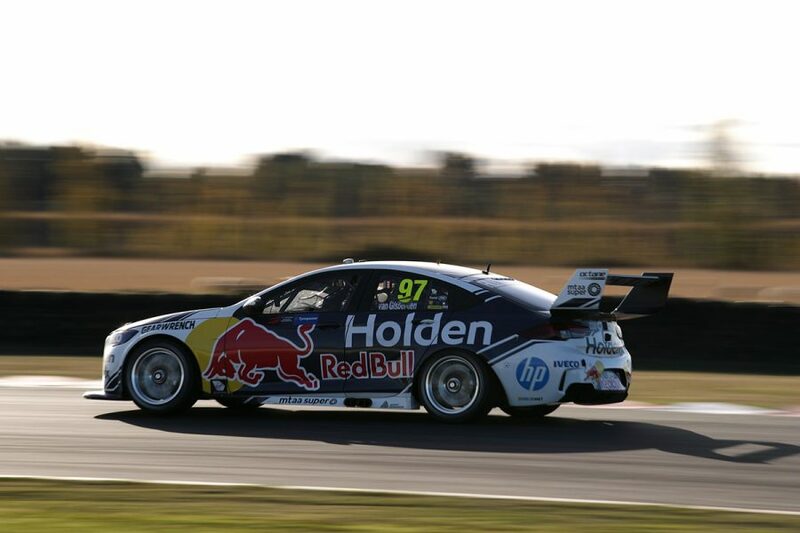 It let van Gisbergen range right up behind, and he made a move stick into Turn 6 on the penultimate lap. Reynolds got past Coulthard on the opening lap and ran third through to lap five, when he lost the place again. A slower right-rear tyre change then meant the Penrite Holden started the second stint in fifth and well behind Coulthard. He had also been passed by Courtney, who was the first driver to pit, on lap 17. 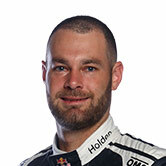 Van Gisbergen got past Reynolds on lap 39 and Courtney four laps later, the pair crossing the line a Courtney-led fourth and fifth. Brad Jones Racing pair Tim Slade and Nick Percat finished seventh and eighth, while Anton De Pasquale and Mostert rounded out the top 10. After the early brush with Whincup, Mostert spent the bulk of his afternoon trying to get past De Pasquale to no avail. On a muted afternoon for Tickford Racing, team-mates Cameron Waters, Lee Holdsworth and Will Davison finished 11th, 13th and 19th. Whincup's day got worse after a spin in ARMOR ALL Qualifying left him starting 15th. He got up to 12th through the first lap-and-a-half, but made contact with the rear of Mostert's Mustang while eyeing a move into Turn 6 on lap two. A puncture took Whincup to pitlane, and he emerged two laps down after checks for steering damage, eventually finishing 25th.